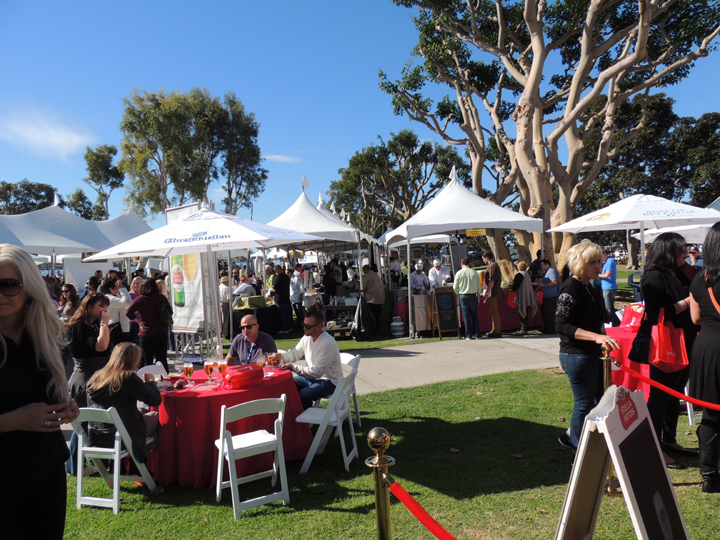 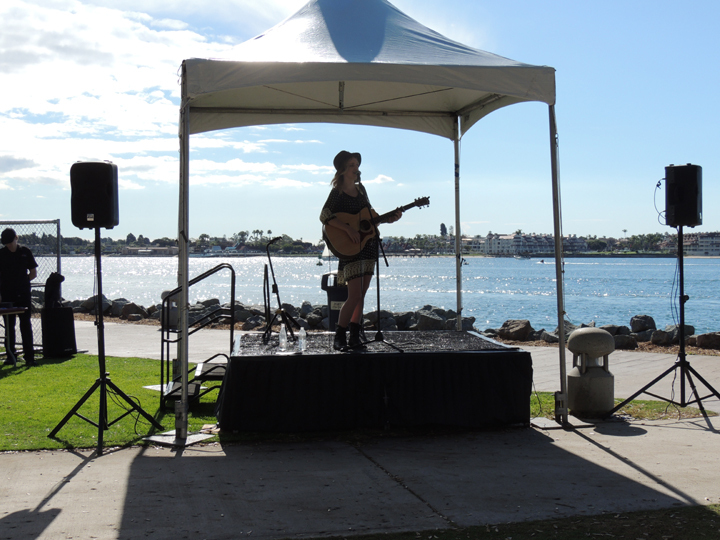 To commemorate its tenth anniversary, this year’s San Diego Bay Wine and Food Festival pulled out all the stops to create a memorable week-long event that was the largest and tastiest yet. 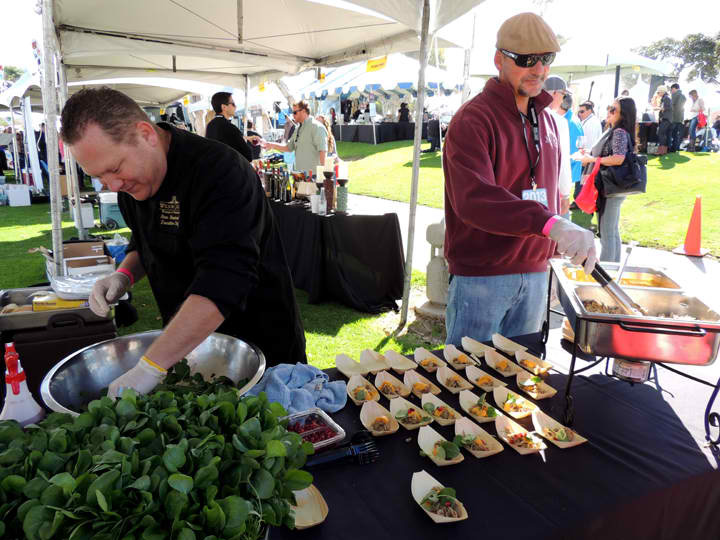 This venerable annual event has come of age, solidifying itself as one of the most highly anticipated and well-reputed culinary festivals in the nation revered by wine and food enthusiasts, media, chefs and winemakers alike. 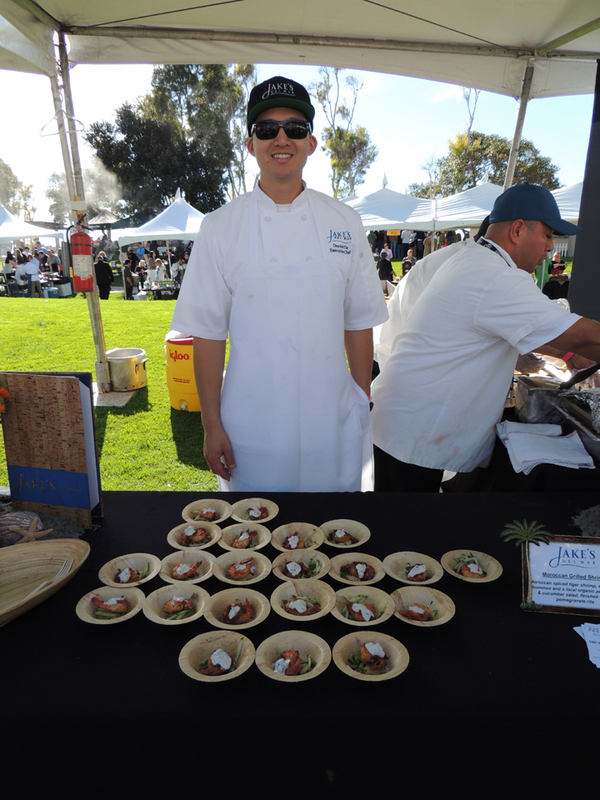 Attendance at the finale Grand Tasting Event is case in point, as foodies and oenophiles came out in droves to sip, savor, and celebrate the best from the who’s who elite of the food and winery scene in San Diego and beyond. 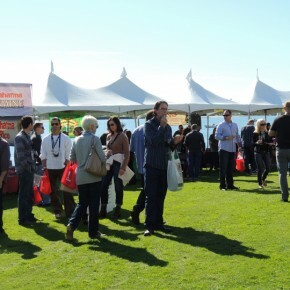 This year’s festival, coined the “Decade of Decadence” event, was held from November 18-24th and included an array of epicurean experiences during the five days—none more impressive than the culinary star-studded Grand Tasting Event that was again held at San Diego’s gorgeous Embarcadero Marina North location behind Seaport Village. 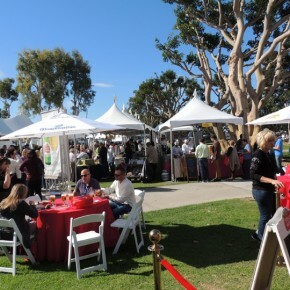 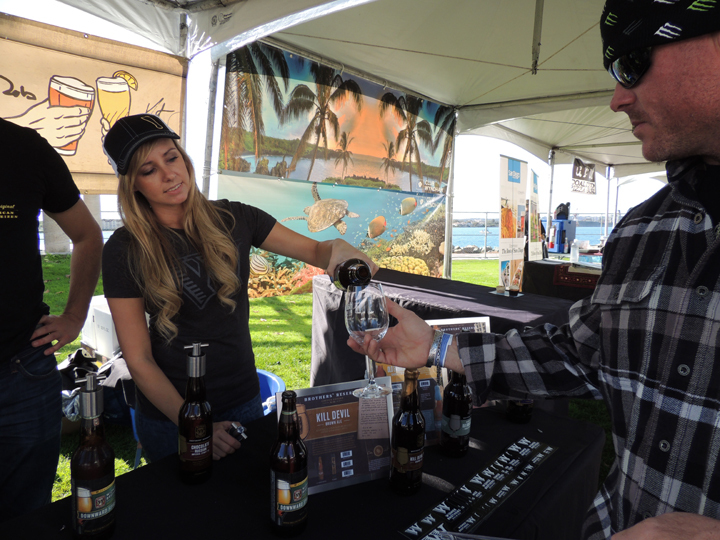 On hand were no less than 200 national and international wineries, breweries, and distillers, pouring some of the most renowned wines, beers, and spirits on the market today as well as 70 San Diego restaurants and gourmet food purveyors, dishing up cuisine from uber-talented chefs. 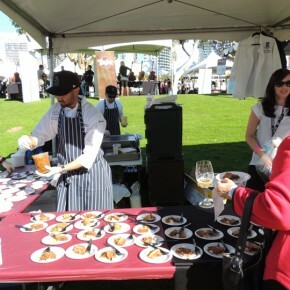 To make the event sizzle even more, San Diego’s best chefs also competed at the event in a heated $50,000 “Chef of the Fest Competition.” Amid views of the stunning San Diego Bay and picture perfect Sunday weather, the Embarcadero became a true Mecca for those seeking a fun-filled food and beverage scene. 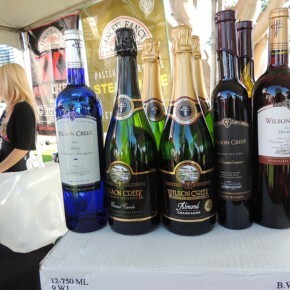 Those who opted to purchase the $175 VIP Experience (over the $125 advance or $150 gate ticket price) enjoyed early entry into the Grand Tasting Event among other perks like exclusive access into the VIP Tent with live entertainment, special tastings, and a gift bag that was filled to the brim with sweet event swag. 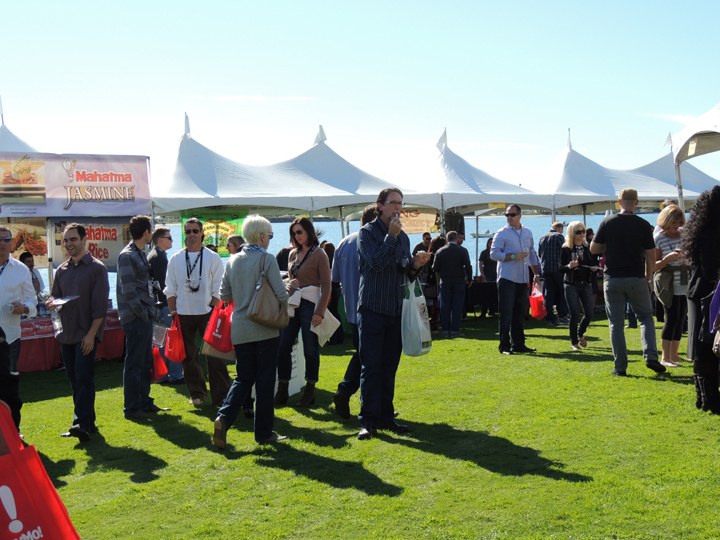 Of course, beyond the incredible Grand Tasting Event, there was so much more that preceded this affair throughout the festival. 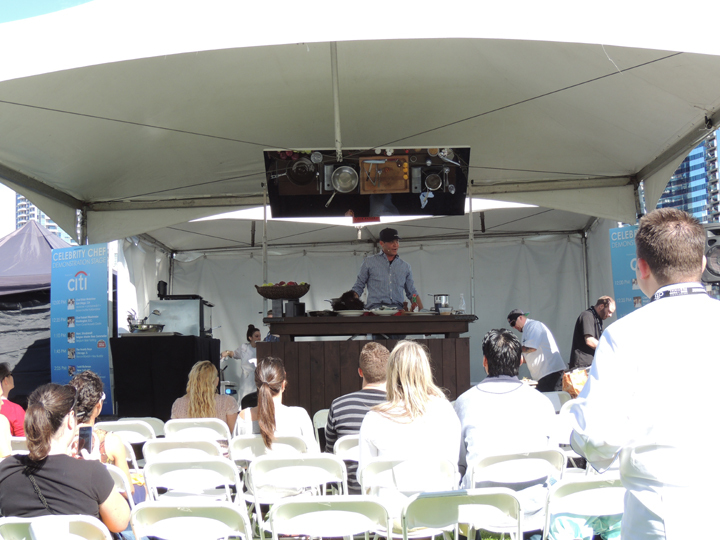 Celebrity chefs were available to sign their cookbooks and burgeoning chefs got to learn from the best during cooking classes, including Passion for Fusion and the Southwestern Holiday Showstoppers presented by Cooking Light Magazine both held at Macy’s School of Cooking. 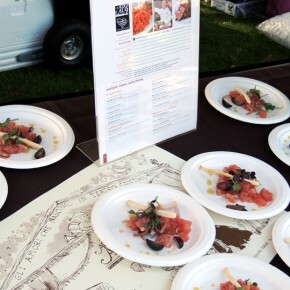 Others looking to be educated in the art and science of wine were able to participate and wine tasting seminars, such as the Pinot Nirvana held at the Marriott Marquis & Marina, as well as multiple wine and food pairing luncheons and dinners. 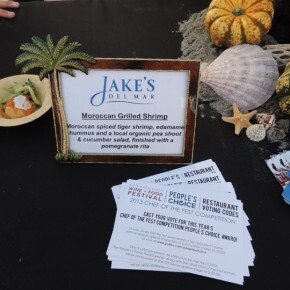 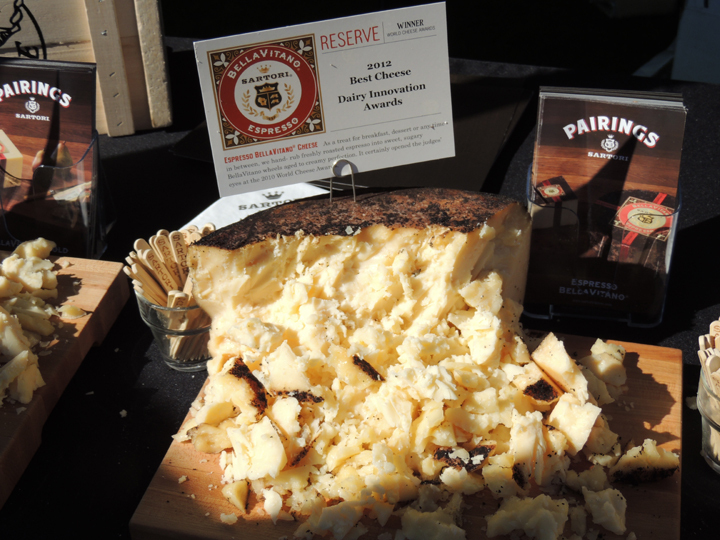 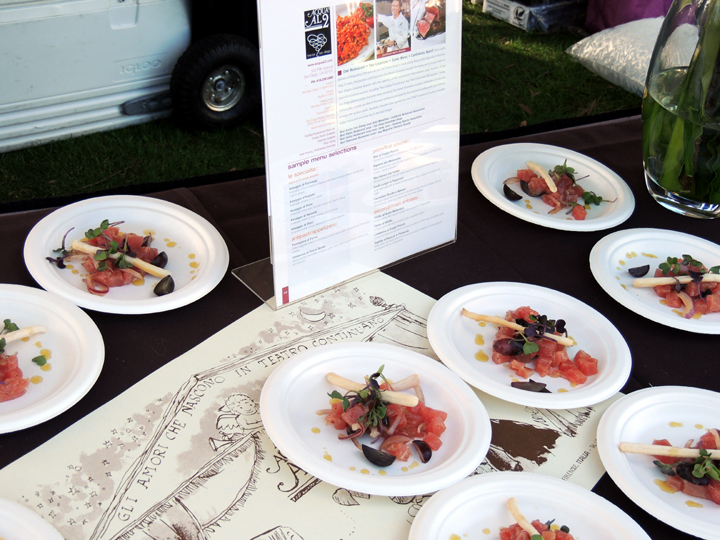 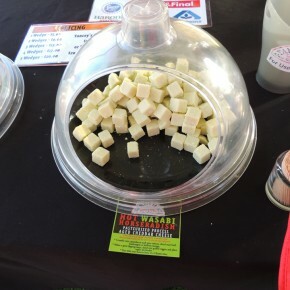 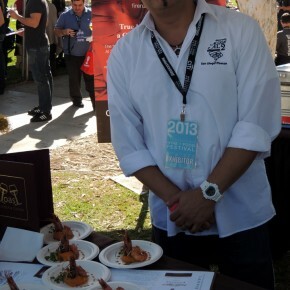 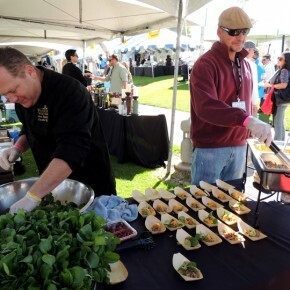 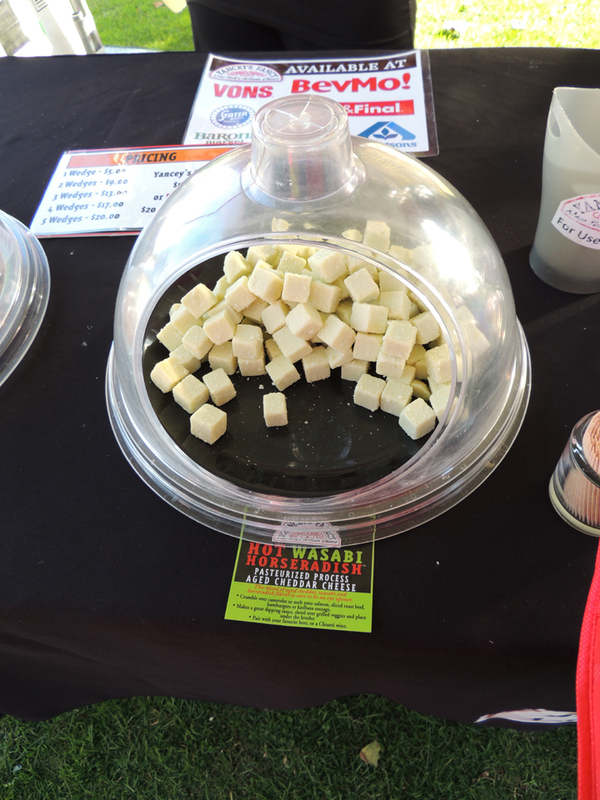 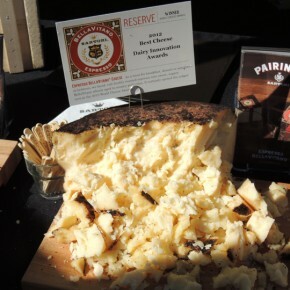 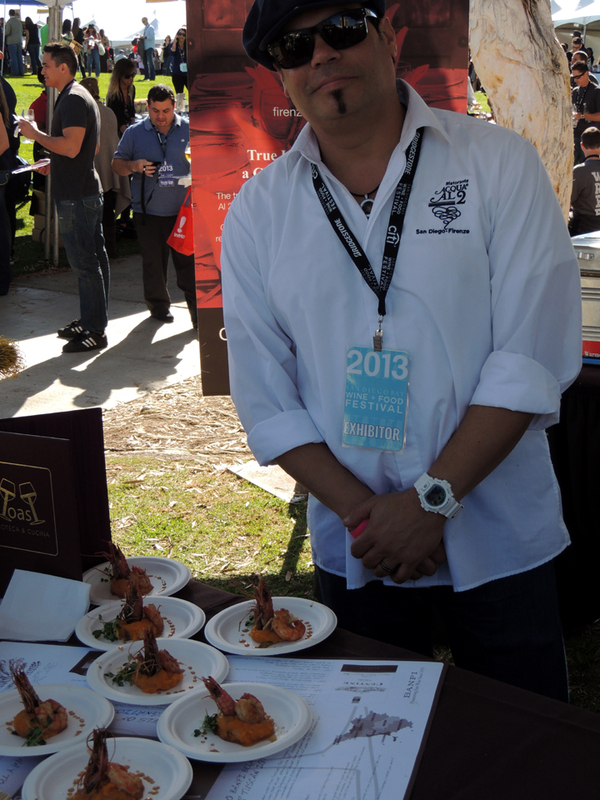 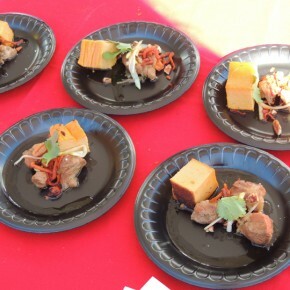 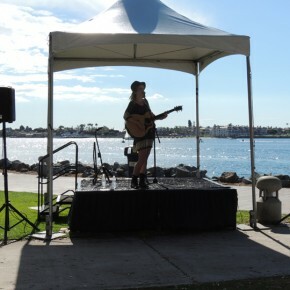 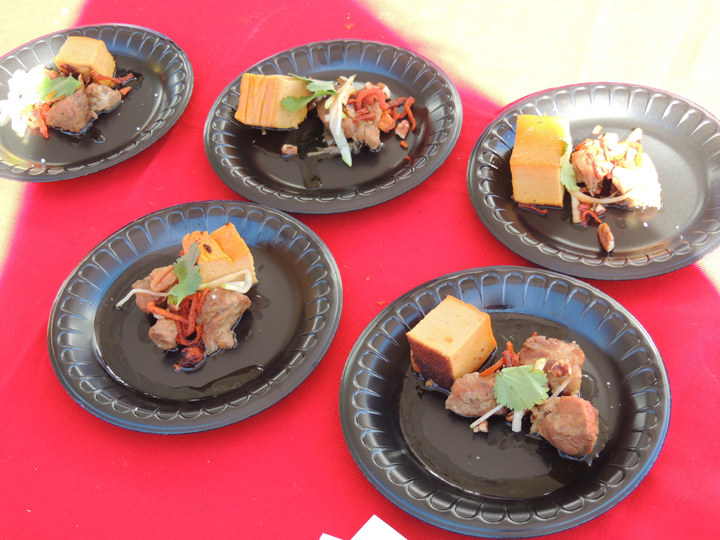 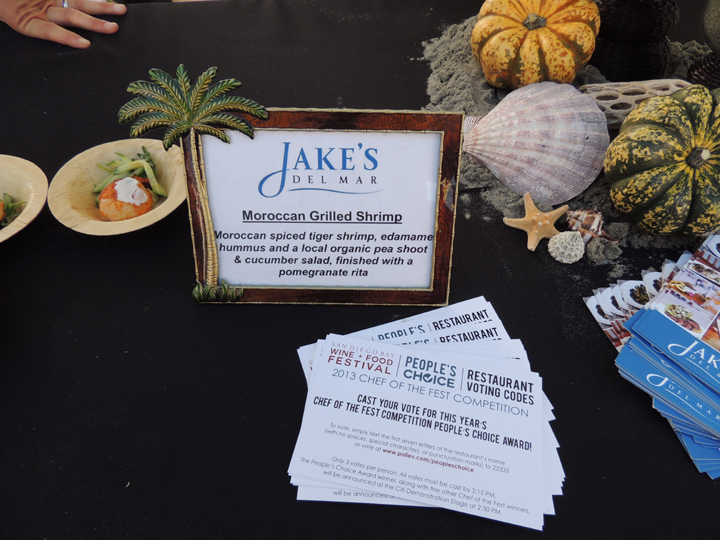 In total, there were 25 culinary and beverage events held at various locations throughout San Diego, making it the most comprehensive festival dedicated to the palate. 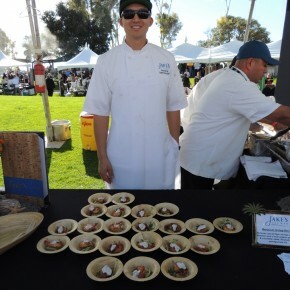 For those who wanted to burn off some of those delicious calories accumulated over the course of the festival, there was even the first Fit Foodie 5K at the San Diego Waterfront. 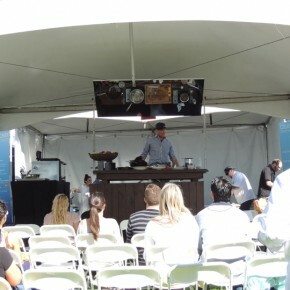 This event featured an exclusive area for racers and supporters called the Finisher’s Village with cooking demonstrations, a refresh and refuel station, beer and wine tastings, goodie bags, fitness discussions and celebrity chefs. 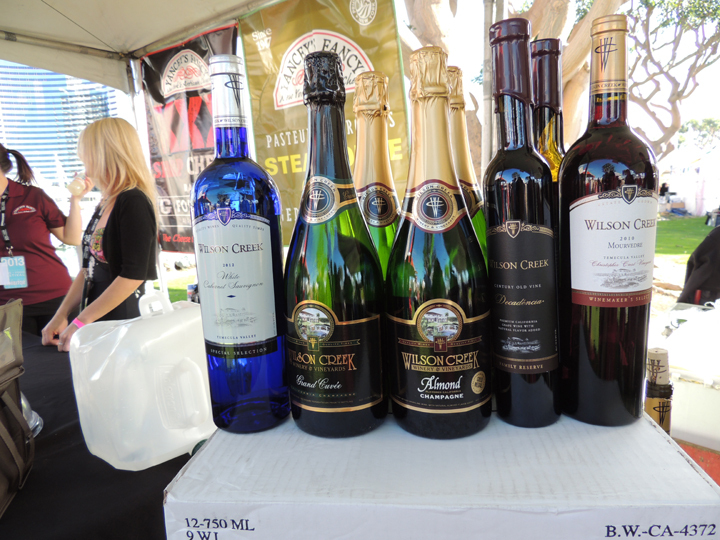 In all, the 10th Annual San Diego Wine and Food Festival, which is produced by World of Wine Events, has set the bar exceedingly high. 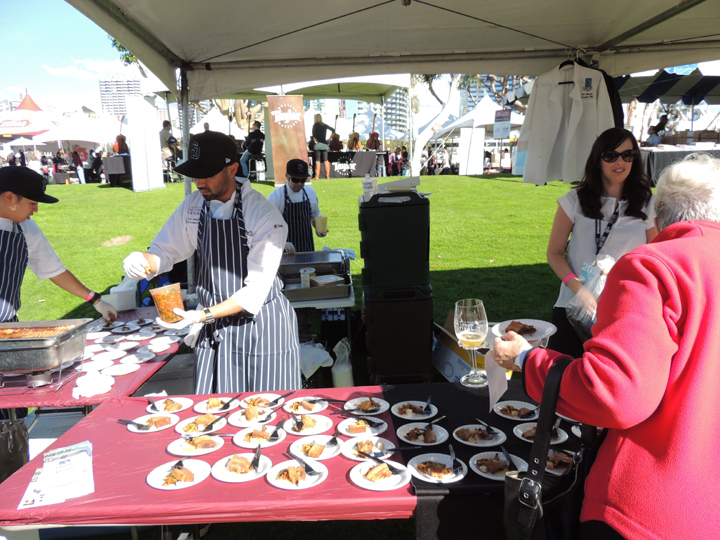 Indeed, they’ve left gourmands near and far hungering for more, and the 2014 festival will most certainly be another unforgettable epicurean experience.